Count is the numerical expression which expresses coarseness or fineness of yarn. It means that, the yarn count refers how much a yarn is fine or course. We also can say that the yarn count number indicates the length of yarn in relation to the weight. But according to the Textile Institute, they define yarn count as “Count, a number indicating the mass per unit length or length per unit mass of a yarn”. Yarn count is also known as yarn number or linear density. Different system or units are used to measuring the yarn count or yarn number which mostly depends on the material used for preparing the yarn and the area where it was manufactured. In this process the count is based on the number of weight units in a length unit. Thus the size or bulkiness of the yarn is directly proportional to the count number. A coarser yarn will have a higher count number while a finer yarn will have a lower count number.The system is used for very fine and very coarse yarns. This system is mostly used for silk, jute etc. It can be defined as the weight present in 1000 meter of yarn in grams where length of yarn is fixed. It means that, for example, if there is a 1000 meter of yarn and have a weight of 20gm then the yarn count will be 20tex. Because tex refers the weight in gram of unit length. An extra qualification of Tex system we know that it is known as the universal process of yarn count which is introduce by International Standard Organization (ISO) with several textile scientists, technologists and manufacturers. The weight of yarn of 1 lb present in 14400 yds length of yarn is known as jute count or pounds per spindle. Metric count is express 1000 gm or 1 kg weight of yarn can contains how many numbers of hanks of 1000 meter. It is denoted by Nm. It is the number of hanks of 560 yds presented in 1 lb weight of yarn is known as worsted count which is widely used for yarn composed by wool. When a cotton yarn is supplied in short length or removed from fabric, the count of yarn can be measured by a special type of balance is called Beesley’s balance. 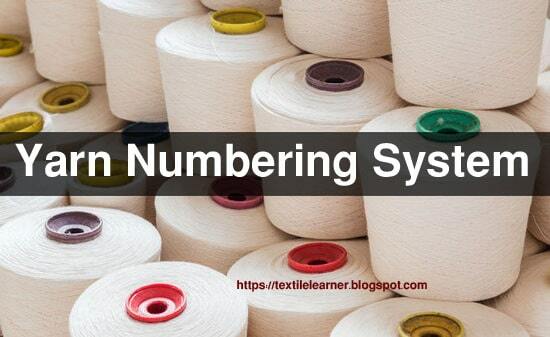 By this standard method of count testing, the count of any type of a yarn can be calculated. In this system yarn is measured by the wrap reel counter. In case of cotton, the circumference of wrap reel is 1 yd and required yarn is 120 yds. Again in case of jute, wrap reel circumference is 2.5 yds and required yarn is 300 yds. Quadrant balance is one type of typical balance. This is direct reading instrument. The count can be directly measure from quadrant balance. 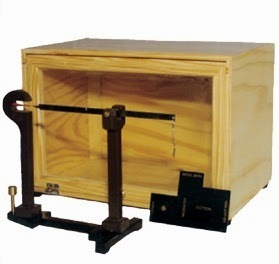 Stubb yarn balance is also worked on the basis of fixed length & fixed weight as like a Beesley balance and it is used to find the count of fabric sample. Here the number of fixed weight yarn gives the count of yarn.